TODAY IS A THANKSGIVING DAY!!! WHEN WE THANKS TO OUR PARENTS, BROTHERS, SISTERS, FRIENDS AND EVERYONE WHO HAS HELPED US. WE ARE SO IGNORANT THAT SOMETIME WE DONT EVEN REALISE THAT YOU ARE HELPING US NON-STOP ONE OR THE OTHER WAY. YOU ARE OUR PARENTS BABA. AND I WOULD LIKE TO THANK YOU TODAY FOR EVERYTHING YOU HAVE DONE FOR US, YOU ARE DOING FOR US AND YOU WILL BE DOING FOR US. PLEASE KEEP BLESSING US ALWAYS AND MAKE US WORTHY OF YOUR LOVE AND DEVOTION. MAKE US WORTHY OF YOUR BLESSINGS AND ALWAYS LET US BE IN YOUR FEET. Baba thank u so much for the food u are giving us everyday,for every comfort we are experiencing now,for every laugh u gave us and for every family member u gave us.Thanks so much for being so generous and kind on us and looking after all our needs.Baba i love u so much and you are the person especially to be thankful for this life. 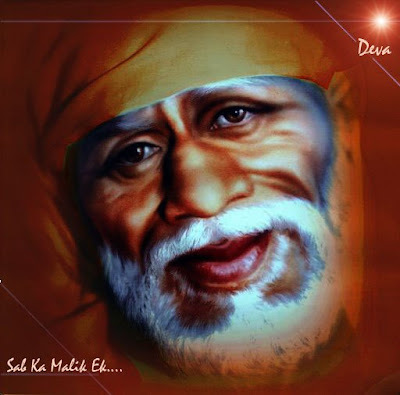 THANKS FOR EVERYTHING SAD GURU SAIBABA AND BLESS US ALL. THANK YOU VERY MUCH FOR SHOWING ME TIME AND AGAIN THAT YOU ARE ALWAYS WITH ME. Each day of our lives, we have many reasons to be thankful. And each person who enters our lives brings in a blessing, bringing something wonderful and adding unique chapter to our book of life. 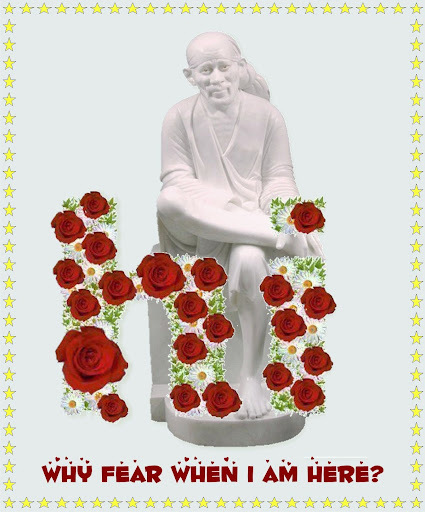 And I want you to know that I'm thankful for this forum of Ravi Bhai which paved the way for all of us to be united in a special way and touched our life and teaching a lesson and reason to celebrate life by OUR BABA SAI's Side. Happy Thanksgiving! I hope your everyday is engage in celebration of life. Thank you Baba for being with us at all times. Thank you Baba v much for everything.